Joe O’Barr, 83, passed away September 22, 2017, joining his beloved wife of nearly 63 years, Mickey, just a few weeks after her passing. He promised her that he’d be right behind her. Joe was born October 17, 1933 in Mesa, Arizona, the second child, oldest son of Benjamin Arthur and Ruby Lee Horne O’Barr. 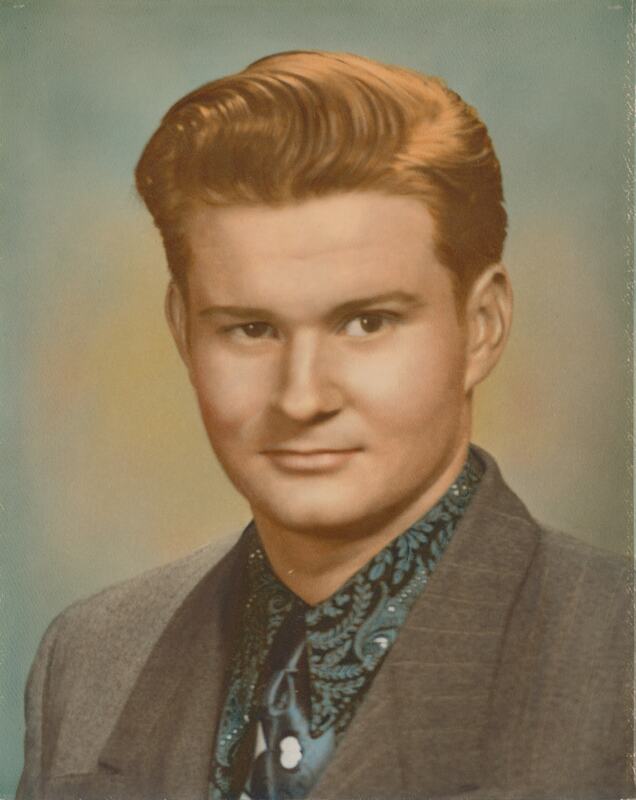 He resided in Mesa his entire life (except when serving a mission), growing up on the corner of Alma School Road and Fourth Avenue (now Broadway), attending Alma Elementary and graduating from Mesa High School in 1952. Joe was a talented tenor, singing in the MHS A Cappella Choir with his older sister June, and performing in school operettas. He also played football for MHS. He attended ASU, then began a four-year electrical apprenticeship. He met and fell in love with Flora Maude “Mickey” McNeil at an LDS dance at the Mezona. They were married in the Mesa LDS Temple in November 1954, and had seven children. While raising their family, Joe & Mickey established a successful electrical contracting company, O’Barr Electric, with Mickey managing the office and keeping the books and Joe working hard in the field. At one point, he could single handedly “rough-in” two houses a day. Joe served faithfully in many church callings. He especially enjoyed working as a scout and young men’s leader. He sang in church choirs and special groups, and enjoyed playing the guitar and singing old cowboy songs. In the early 1980s, Joe, along with Mickey and their daughter Becky were some of the first members of the Arizona Mormon Choir. In 1989-90 Joe & Mickey served a mission for the LDS Church to Davenport, Iowa where they made many lifelong friends. After returning from their mission Joe served for several years at the Mesa Family History Center. Survivors include his children: Daughter-in-law Debbie O’Barr, Rebecca & Eddie Salib, Kevin & Sabrina O’Barr, Brian & Jana O’Barr, Cathy & Jimmy Coulter, Martha Morgan, Mark & Laura O’Barr; special nieces Charlotte McNeil Wallis (Stan) & Sally McNeil Baker (Jason) who joined the family after the passing of their father; and many foster children; 35 grandchildren, 47 great-grandchildren. Brothers: Donald O’Barr (Wylene) and Danny O’Barr (Gretchen). Sisters: June Starks (Bill), Dixie Hawley, and Dianna Quist (Stuart). In addition to his wife Mickey, Joe was preceded by their oldest son Michael in March 2017; his parents, and younger sister Jeana Smith (Darrell, also deceased). Funeral services will be held Friday, September 29, 2017 at 10 AM, preceded by a visitation at 9 AM, at the LDS Chapel located at 2334 E. Pueblo Avenue, Mesa, Arizona. Joe and I have been friends since Franklin School Days. I will miss him! I’m so so sad to not be able to attend my grandpa’s funeral. He was such a wonderful, funny, very loving person. I’m thankful that he’s now with my grandma and I’m pretty sure they’re dancing in the clouds. Thank you grandpa for all the wonderful sweet memories. When I was about 11 years old, we lived in a quonset building right across the street from the O’Barrs on what was then 4th Avenue. I remember hearing laughter and singing coming from their house. It was also the first time I ever heard the word “damn!” I have no idea who said it. What a great family! My maiden name was Fuller. Dianna, I would love to see you at the funeral, but unfortunately have a doctor’s appt. at that time.